Should You Use WordPress CMS For Your Next Website? Home/Blog/Should You Use WordPress For Your Next Website? We can begin by agreeing that for the vast majority of small businesses, learning to program a CMS (Content Management System) is at the least, challenging and at the most – impossible. Small business owners need to focus on their natural skills and experience to grow their business and leave website development to professionals. There is a middle road that can be walked here, and that path leads to WordPress. An estimated 29% of all websites found on the Internet are using WordPress Everyone from startup businesses to Forbes and UPS use WordPress as a critical part of their web presence. It is used by bloggers, corporations, and government agencies globally to perform day-to-day operations. 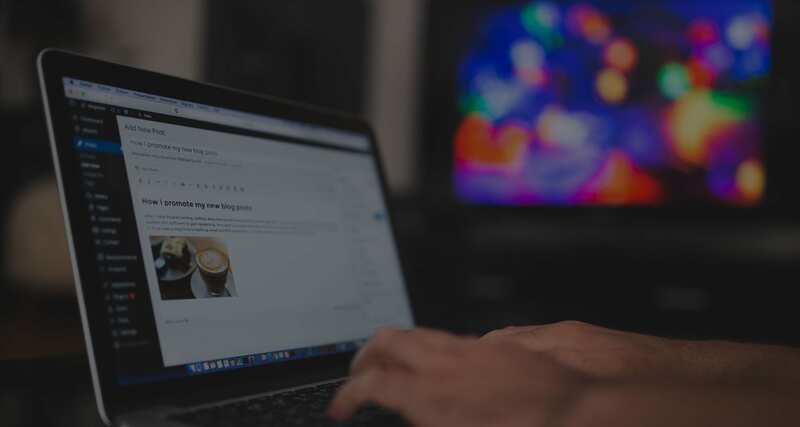 What these facts mean is that WordPress has been tried and tested and has a proven track record to make its claim as a serious alternative to build and manage your next website. Can you develop a WordPress site on your own? You can develop WordPress on your own and customize it with some basic training. But what if you are looking to do more with your website, either now or in the future? Here is yet another advantage of choosing WordPress. There are many professional WordPress developers and consultants who can put unique features on your website without having to develop the website from scratch. Looking into the future, WordPress can be expected to be around for the long term, so as your business grows your WordPress site can grow with it. WordPress is open source software, so users are concerned about its overall security. Open source software often results in compatibility issues between plugins or add-ons. Developing a website that is truly unique will make hiring a developer a necessity, not an option. These are genuine concerns but not all apply to small businesses. Most WordPress installations are performed and maintained by professional website developers and placing the responsibility of security in their hands, leaving you free to carry out day-to-day operations. In most cases, a startup or small business is seeking to establish a web presence, so custom design is not high on the priority list. The bottom line for your decision comes down to more than one bottom line. If your budget does not allow for hiring a professional web developer, you can develop your own website at wordpress.com. Get your business up and running, and start generating revenue. A middle-of-the-road option is to work in collaboration with a professional web developer and find agreement on cost and features that will make your website stand out among the crowd. Finally, if you are committed to having the best website possible and your budget allows for website development and consulting, WordPress can be the foundation of your CMS and you will be able to find qualified professionals now and into the future so when your website needs modification or upgrading, help will be available.